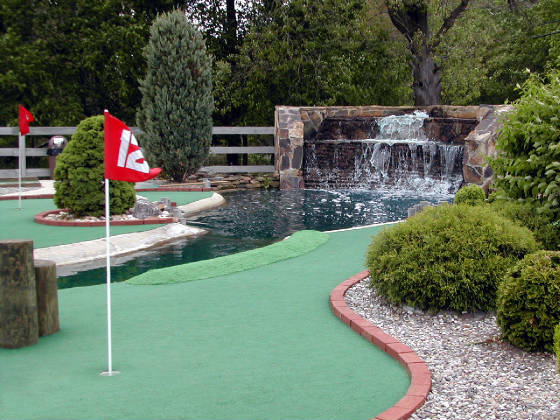 Since first opening in 1991, people have been coming in herds to Farmer Brown's great miniature golf course. The 18-Hole course is characterized by its water hazards, sand traps, and there is even rough in some areas. The beautiful landscaping around the miniature golf makes Farmer Brown's miniature golf course look like the real thing! 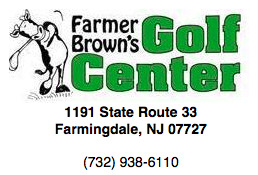 There is even a $1 off coupon for your next visit on the back of your scorecard!